The Pierre Boulez-founded Ensemble Intercontemporain will kick off Sacrum Profanum with a night of works by the Finnish composer Magnus Lindberg, who just closed the 2009-2010 season as composer-in-residence at the New York Philharmonic. Later the same evening Swedish composer Klas Torstensson’s percussive works will be the focus of a performance from Asko | Schonberg. 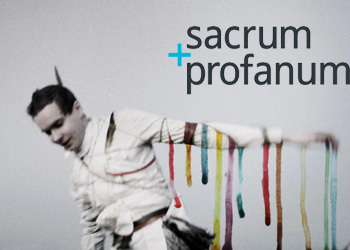 In fact, the Nordic countries are a continuous theme at Sacrum this year, with all of the featured composers hailing from Europe’s great white north – Eivind Buene (Norway), Anders Hillborg (Sweden), Pelle Gudmundsen-Holmgreen (Denmark), Kaija Saariaho (Finland), Rofl Wallin (Norway), and Hans Abrahamsen (Denmark). In contrast, each of these concerts will begin with a piece of music by a Polish composer, featuring famous names such as Górecki, as well as lesser-known artists such as Agata Zubel. The Nordic theme continues through to the Sacrum Profanum Freak series, the less “serious” offspring of the festival, which will feature exclusively Icelandic artists. Just as with last year’s Aphex Twin performance and 2008’s Kraftwerk concert, all of the Freak dates will take place at the huge ArcelorMittal steelworks complex in the communist-built enclave of Nowa Huta. This idiosyncratic post-industrial space will be the background for three concerts in the Freak series. The first will be from a collective known as múm, who have been releasing quirky toytronica since the late ‘90s. They have since moved into more typical song-oriented territory, but no amount of listening will likely prepare you for this performance. Múm will be joined on stage by what appears to be the population of an entire Icelandic village, and it certainly does appear to be every single Icelandic musician we’ve ever heard of (only Bjork is missing), from Amiina to Daniel Bjarnason (who will return to Krakow in October to perform at the Unsound Festival). Jónsi, the famed falsetto-singing frontman of post-rock band Sigur Rós, is the star of the two final concerts, where he’ll be bringing the material from his latest solo effort, 2010’s Go, to life with a full backing band. Compared to his work with Sigur Rós, Jónsi’s solo material is a little more pared down, acoustic, and much more freely uplifting. Solo project or not – the concert is sure to attract a huge number of Sigur Rós fans looking to see their idol in the flesh for the first time in Krakow. múm & friends (Amiina + Magnús Tryggvason Elíassen, Gyða Valtýsdóttir, Sindri Már Sigfússon (Seabear & Sin Fan Bous), Örn Elías Guðmundsson (Mugison), Benedikt Hermann Hermannson (Benni Hemm Hemm), Högni Egilsson (Hjaltalín), Jóhann Jóhannsson, Sinfonietta Cracovia, Polish Radio Choir and Daníel Bjarnason – conductor.